Report by Major Tunbridge about Elands River, 15 September 1900, page 1. 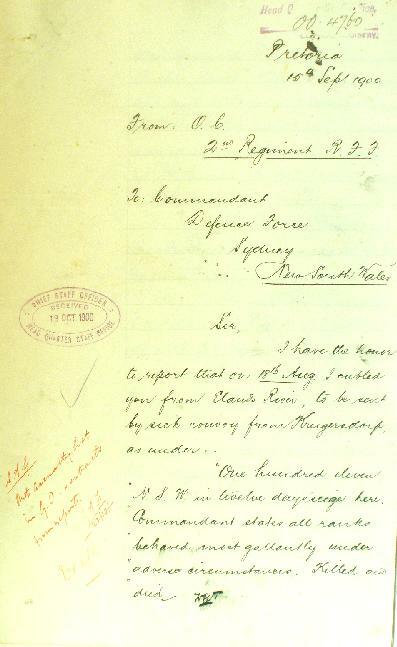 On 15 September 1900, Major Tunbridge wrote a report of the action at Elands River for the NSW General Staff of which page 1 is transcribed below. "One hundred eleven N.S.W. in twelve days' siege here. Commandant states all ranks behaved most gallantly under adverse circumstances. Killed and died ..."